Edit : This is the first part of the diptych I've started with this wall. The second part is HERE : "Dedication". so very very interesting in his eyes! LOL its a girl. The eyes do look a lot like a guys though. Seras is one of my favourites from the anime (I haven't been fortunate enough to read the manga). Its hard to find good helsing backgrounds so this is a definite fav for me. Wow....just...wow. Superb work. Excellent and original take on visual style for this series. 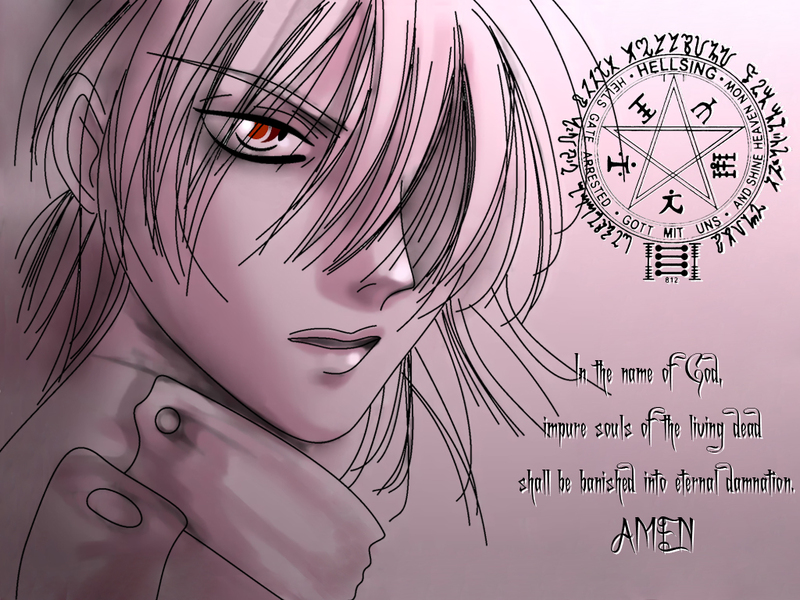 Cellas Victoria from hellsing ;))) miam i like her ;) adn as Nanaho said : very "interesting eyes". Yeah, her eyes grabbed me as well. As is she has just decided something. WOAH, smoooth. Lady, may i offer you a martini? ????? ?????? ?????????! ????????? ????? ?, ???????? ? ???????! Great job...Very pretty indeed, and thanks!